Palm oil and toxin free, this natural cream cleanser cleans many things: sinks, toilet bowls, basins, scuff marks and more. Beautifully scented with peppermint and rosemary essential oils and is long lasting. 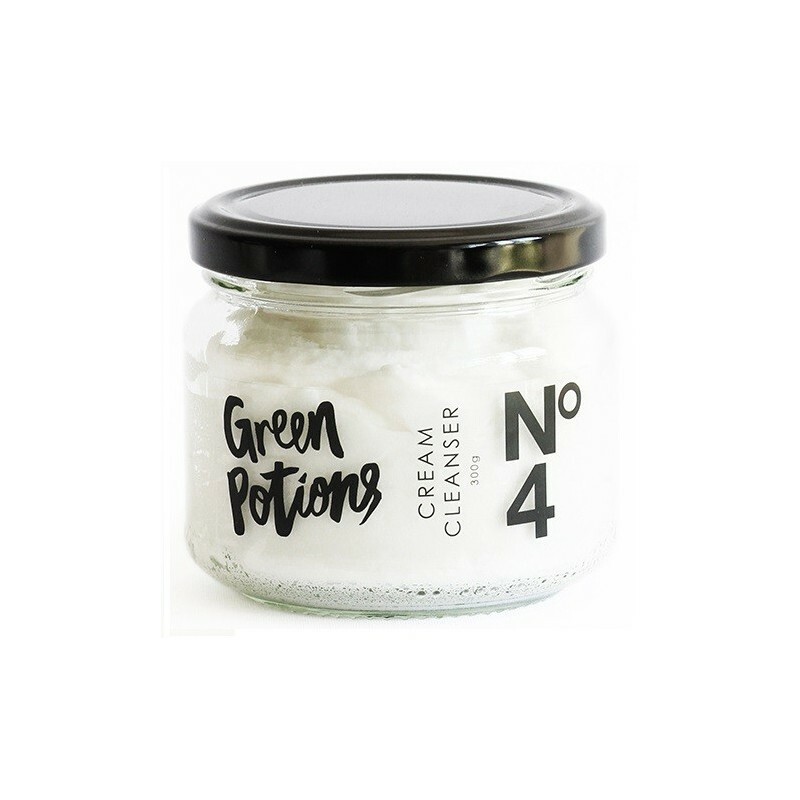 Made by Green Potions, a small Queensland company aimed at making your home healthier. 300g. A little goes a long way, making it cost effective - use sparingly! Also cleans bathtubs, kitchen cupboards, pots, pans, kitchen appliances and stove tops. To clean scuff marks, rub on gently with a damp cloth. 300g. 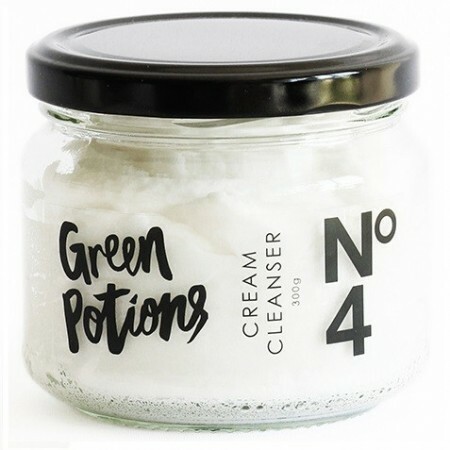 Sodium Bi-Carbonate, saponiﬁed Coconut and Olive Oil, Demineralised Water, blend of 100% pure essential oils of Peppermint and Rosemary, Sea Salt, Grapeseed seed extract. Works well in cleaning sink & basins. Has a mild natural aroma. This product is as good as (if not better than) a similar product you can get at the supermarket starting with 'G'. It smells very fresh & natural and does a wonderful job cleaning the bathroom, kitchen, anything. A little goes a long way and if it seems to dry out in the jar, just add a bit of water to loosen it up. I also love that you can reuse the jar. Hope it's back in stock soon as I've run out.